A departure from museums as usual . . . The Preview Museum is an important first step to building a permanent home for the Museum of Science Fiction in Washington, DC. By starting with a small preview museum, doors can open sooner and set the stage for completing the full-scale facility within five years. During this time, the Museum will annually change out the exhibits, stories, and educational content to highlight the best achievements in science fiction and its continuing impact on our culture. The Preview Museum's architectural design is modular and highly portable to allow for easy relocation to other cities (such as New York or Los Angeles). After its tour, the Preview Museum will be added as a wing to the full-scale facility. The Preview Museum is intended to give visitors an advanced look at what’s coming and permit the Museum to begin programming activities with evening lectures and film screenings. 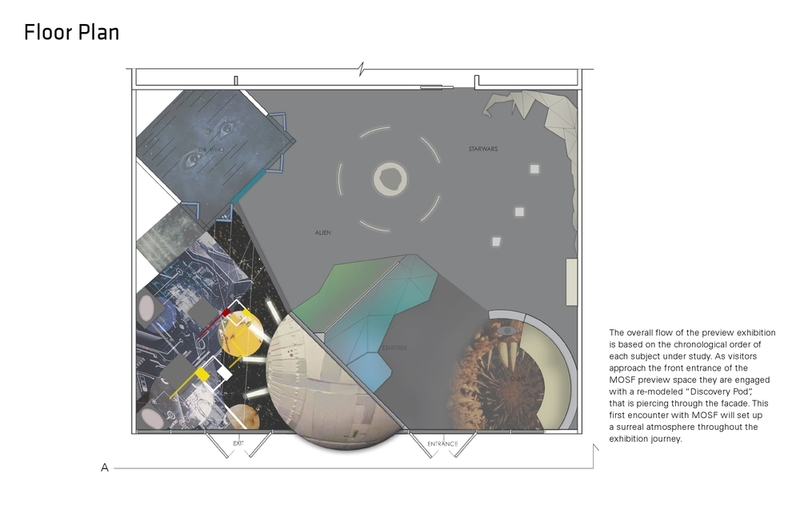 This approach will help us craft the Museum of Science Fiction to be one of the most sought after museums in a city known for its museums and show how science fiction has sparked creativity, imagination, and inspiration pushing mankind to conceive of technologies that were once on the cusp of reality. Our mission is to create a center of gravity where art and science are powered by imagination. Science fiction is the story of humanity: who we were, who we are, and who we dream to be. The Museum will present this story through displays, interactivity, and programs in ways that excite, educate, entertain, and create a new generation of dreamers. Our vision is be the world’s first comprehensive science fiction museum, covering the genre's history across the arts and providing a narrative on its relationship to the real world. A destination and a center of gravity . . .
Center of gravity. A social hub for the celebration of imagination based on merging art and science. Not only will people be able to visit the museum to learn about science fiction through artifacts, display objects, and archives, but they will also be able to attend and host special events. Art. A repository of science fiction depictions through the ages, covering centuries of literature, paintings, sculpture, scale models, film, and music. Art is what we create for aesthetic and contemplative consideration. Science. 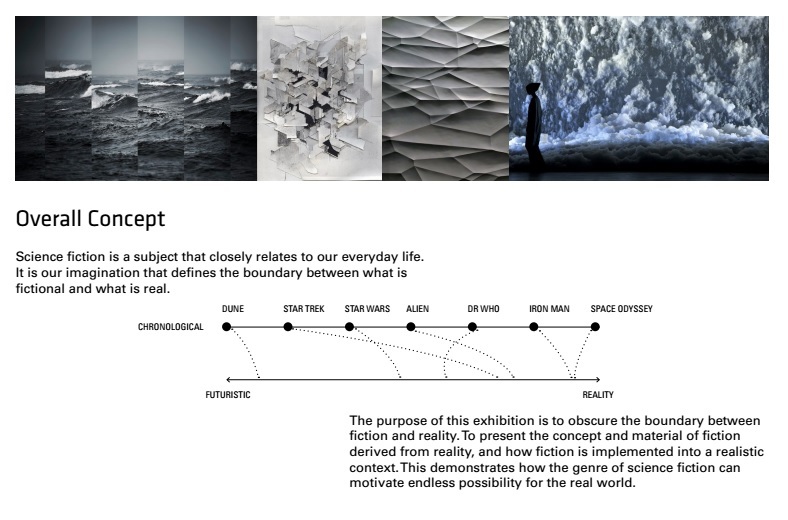 Show the connections between science fiction and science fact, demonstrating how art can play a role in inspiring scientific investigations and how scientific discovery can inspire art. Science is the systematic and organized body of knowledge shared across cultures and time in a manner that can be tested and verified. Imagination. A cathedral of imagination, a place to celebrate the unique human characteristic of conceiving new stories, new ideas, and new solutions to problems. This is the aspect of expanding beyond all that we know. The Preview Museum will give visitors a place to provide feedback on the Museum’s exhibit designs and programming. Visitor involvement early in the development process will help create a better and more exciting museum experience. 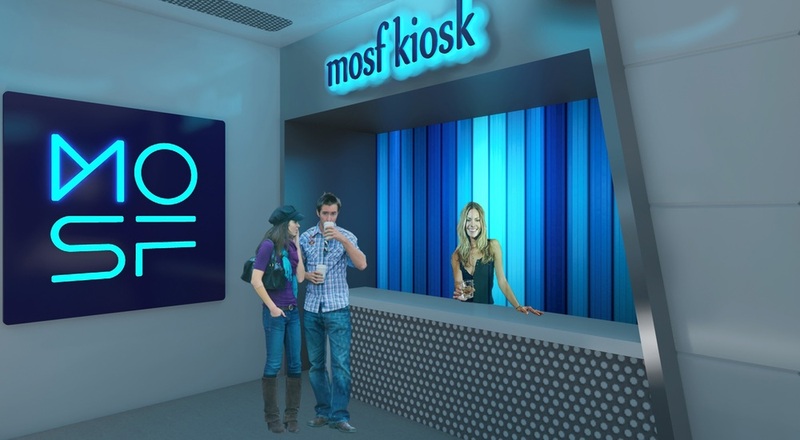 Collecting visitor input at an early stage will allow increased flexibility to improve the visitor experience in the full-scale facility – matching or exceeding expectations. The Preview Museum will present our ideas on how wireless interactive exhibits can be used as educational tools with classroom materials (consistent with Common Core and Next Generation Science Standards) that teachers can integrate into their daily lesson plans. The Preview Museum will also show donors how they might contribute to our efforts. Above all, we want our visitors to have fun—and maybe learn a few things along the way. We need your enthusiasm and financial support to bring this important mission and vision into reality. Help us build the Preview Museum and launch us forward to build the full-scale museum with the valuable guidance that we will glean from the prototype: the Preview Museum. Another important step in our development has been the Museum's recent exhibit design competition. This competition advanced the interior space planning. Competition results can be reviewed below. Actual exhibit designs for the Preview Museum are in development and will be published soon. The Jury awarded the First Place to #34.84 , submitted by Emily Oi Yee Mak and Eunseo Lee, recent graduates from the FIT Exhibition Design Masters program in New York City for the submission with the clearest concept and most compelling story; the submission best addressed the goals of the competition. #91.30 The HG Wells Award was given to the submission that demonstrates the most thoughtful and practical approach to the design problem, the design was submitted by Thomas Kelly, a Freshman at Carnegie Mellon University. #74.87 The Jules Verne Award was given to the submission that best exemplifies the creative and adventurous spirit of the competition, the design was submitted by Paul Newitt.. Click to download. The Museum's recent design competitions have generated amazing ideas, among them a wireless technology from Constantinos Miltiadis of Greece. Miltiadis received The Arthur C Clarke Award from the Museum of Science Fiction's International Architectural Design Competition. The Clarke Award highlighted the best design submission that displayed the most creative and unorthodox approach to solving the design problem. Miltiadis started by asking the question, "What if you, being here, could be a virtual presence anywhere?" This began Project Anywhere. Project Anywhere is an intention to breach the limits of physical human presence, by replacing kinaesthetic, visual and auditory with artificial sensory experiences, in a fully interactive virtual environment. For more information on Studio Any, click here. Hakan İmert of Turkey received the Executive Director's Award for his interior design work. Hakan is an interior architect at Uludağ Architects, where he works on a variety interior design and architectural projects. He also has his own practice, Hakan İmert Interiors for personal international projects.